All ROCKY CREEK RANCH homes currently listed for sale in Canyon Lake as of 04/20/2019 are shown below. You can change the search criteria at any time by pressing the 'Change Search' button below. If you have any questions or you would like more information about any Canyon Lake homes for sale or other Canyon Lake real estate, please contact us and one of our knowledgeable Canyon Lake REALTORS® would be pleased to assist you. "Move in ready custom home w/beautiful porcelain floors throughout & oversized rooms gives you all the flexibility you need! Open floor plan makes it an entertainer's delight, & 21 x 21 bonus room for additional living/media/game room activities. Extensive landscaping makes the backyard an oasis for entertaining. Detached garage has finished attic for additional storage w/ permanent stairs for easy access. 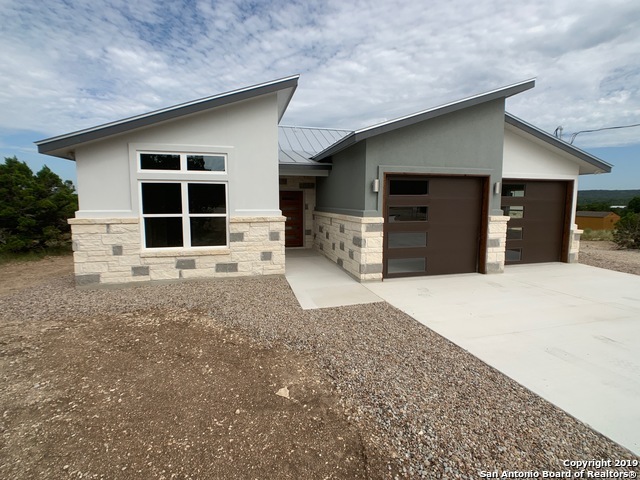 Local activities abound w/river tubing on the Guadalupe, shopping, dining, wineries close b"
"This fine David Barr home is located on an elevated building site with a good Hill Country view! The home is an open plan with custom cabinets, granite tops, high ceilings & tile throughout!" 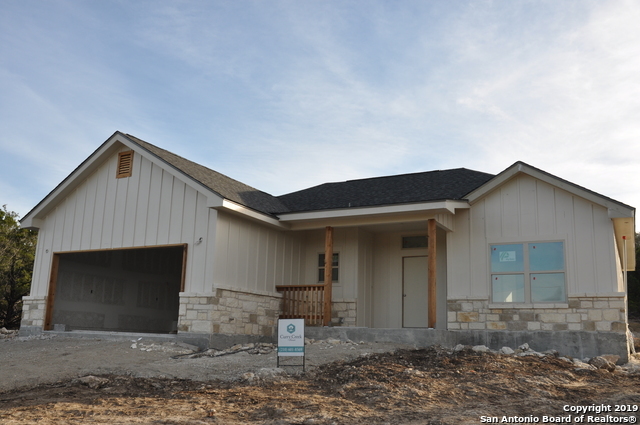 "Brand New Blanco Valley Home! READY FOR MOVE IN! 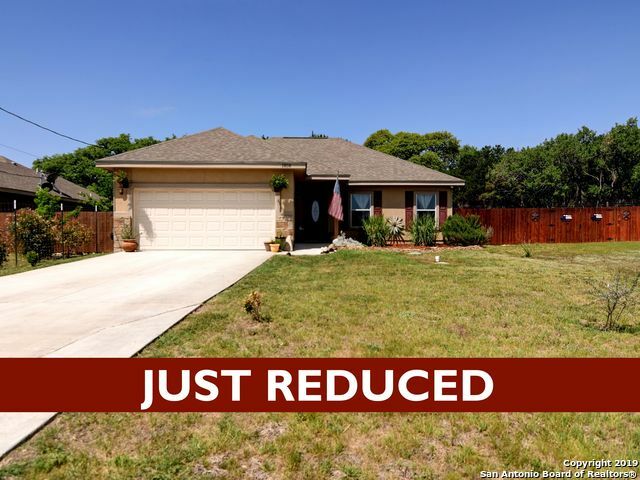 Charming 4 bedroom 2 bathroom home, 4th bedroom can used as a study, Very open floor plan with great custom features, its nestled in the Texas Hill Country. This home sits on .5 acre with a great view as its sits atop of Garret Way in Rocky Creek Ranch. Very close proximity to Canyon Lake, Whitewater Amphitheater, and great canyon Lake Eateries! The completion of this home is estimated to be END OF MARCH of 2019." "Another fine home by David Barr, builder. This 3/2/2 is located on a large lot with mature oaks. The home has a huge center island with custom cabinets (42 uppers), granite tops, high ceilings & tile throughout. Contract soon & customize your selections!" "Beautiful new custom Curry Creek Home in Rocky Creek Ranch. 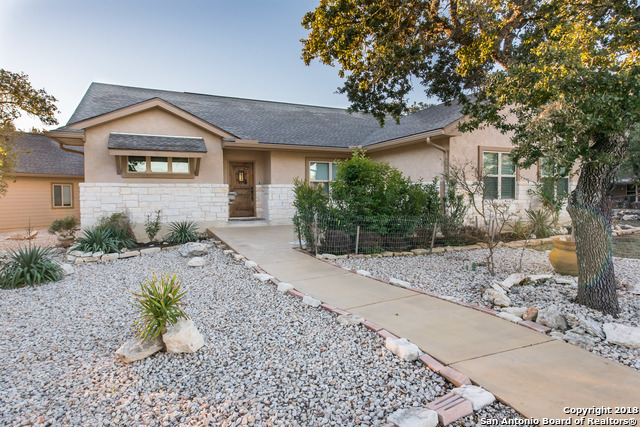 This 1560 square foot home sits on half an acre and is just minutes from Canyon Lake. This home is under construction and approximate completion date is May 1, 2019. This home will offer an open floor plan with custom cabinets, granite counter tops, high ceilings and tile floors throughout. Builder warranty and 2nd 3rd party inspections during the build process." "GREAT NEW OPEN FLOOR PLAN WITH 3BR, 2BATH LOCATED IN ROCKY CREEK RANCH. GREAT HILL COUNTRY VIEW FROM LIVING DINING ROOMS WITH A COVERED PATIO. PICK YOUR COLORS AND MAKE IT YOUR OWN. CUSTOM CABINETS, ALL TILE FLOORING, BREAKFAST BAR, AND A STANDING SEAM METAL ROOF." 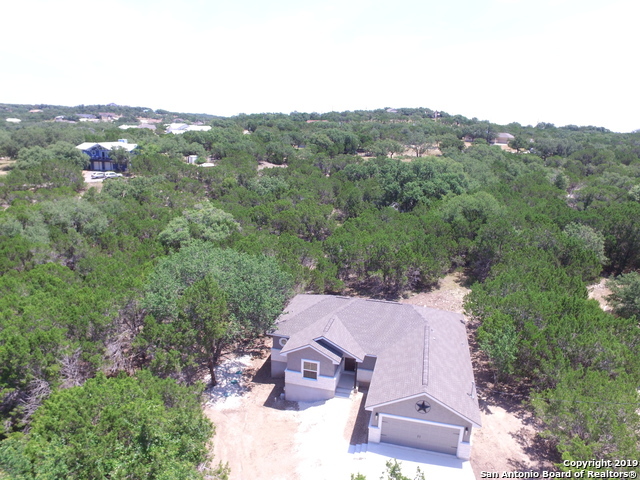 "NEW CONSTRUCTION SINGLE STORY HOME IN ROCKY CREEK RANCH MINUTES FROM CANYON LAKE. *Granite Counters*Electric Fireplace*2 Car Garage*Open Floor Plan*Ceiling Fans*Cul de Sac*Covered Porch. A MUST SEE!" "Prestigious single story on a half acre in Rocky Creek Ranch! Conveniently located within minutes to Canyon Lake. Clearly pride in ownership is displayed throughout this home. Great open floor plan, crown molding & tile flooring throughout the main living areas, granite counter tops in the kitchen & bathrooms and much more. 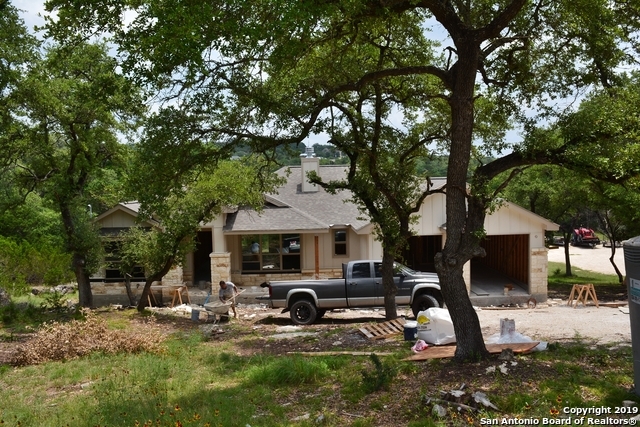 Plus..a private backyard with hill country views, perfect for entertaining!" "NEW HOME UNDER CONSTRUCTION IN ROCKY CREEK RANCH. COMMUNITY POOL AND CLUB HOUSE. 3 BEDROOM, 2 BATH, 2 CAR GARAGE. 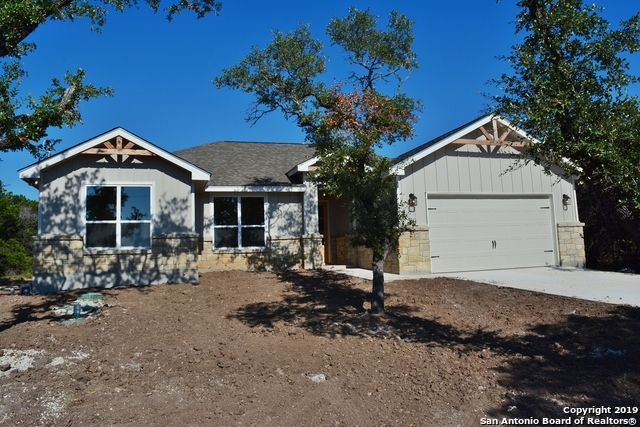 ALL TILE FLOORING, GRANITE COUNTER TOPS, HIGH CEILINGS WITH PLENTY OF WINDOWS TO ENJOY THE VIEW OF THE HILL COUNTRY. HURRY AND PICK YOUR OWN COLORS."